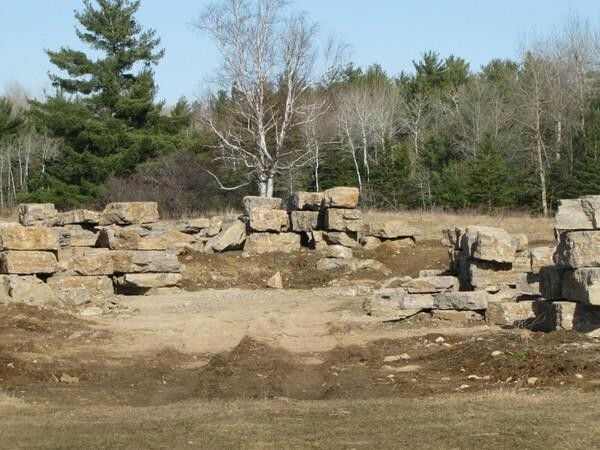 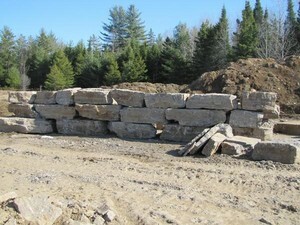 Our Limestone quarry is now licenced and in operation. 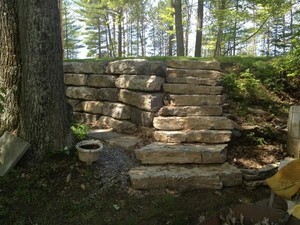 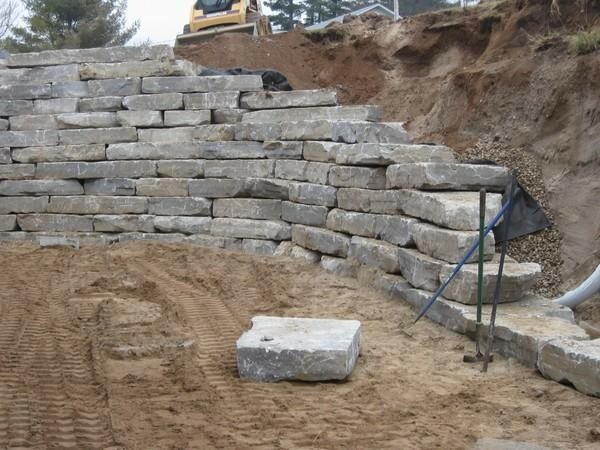 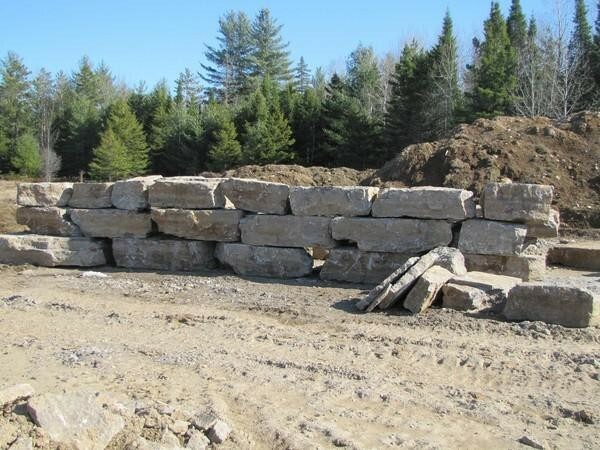 The armour stone comes in many different sizes from stones for large retaining walls down to steps. Our stone is peeled out with an excavator and not from the blast. This allows for more consistent sizes which makes it easier for placing the stone. Delivery is available to all area's so please contact us to inquire about a price. 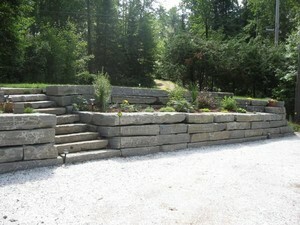 We also install armour stone, you can check out services to see samples of our work.